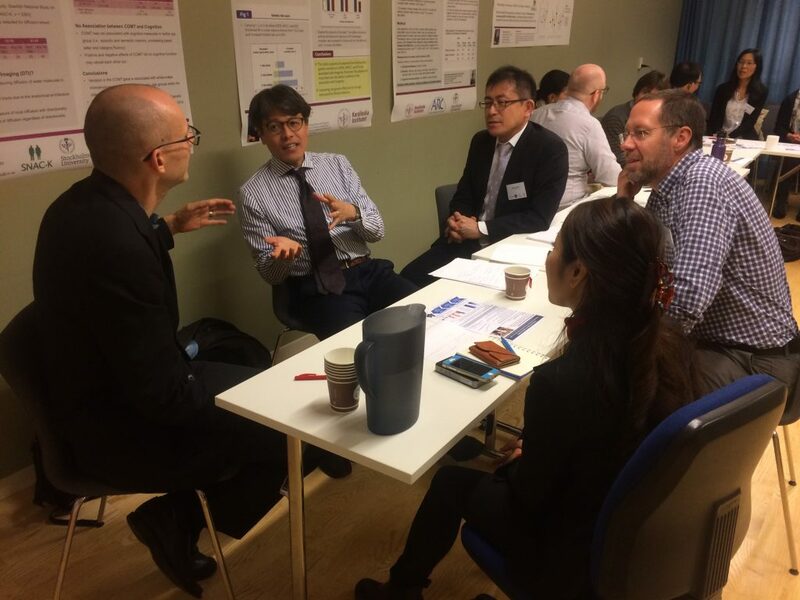 The first workshop within the strategic partnership between the three Stockholm universities and The University of Tokyo was held in Stockholm, 20-22 September 2017. 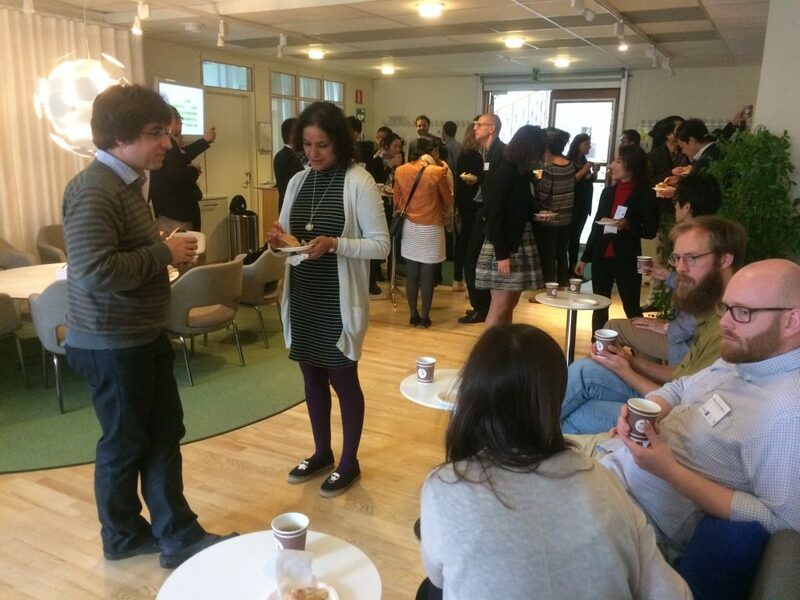 It was a successful meeting of around 100 researchers from all four institutions, discussing three perspectives of ageing: the biophysical, the biomedical and the social scientific. 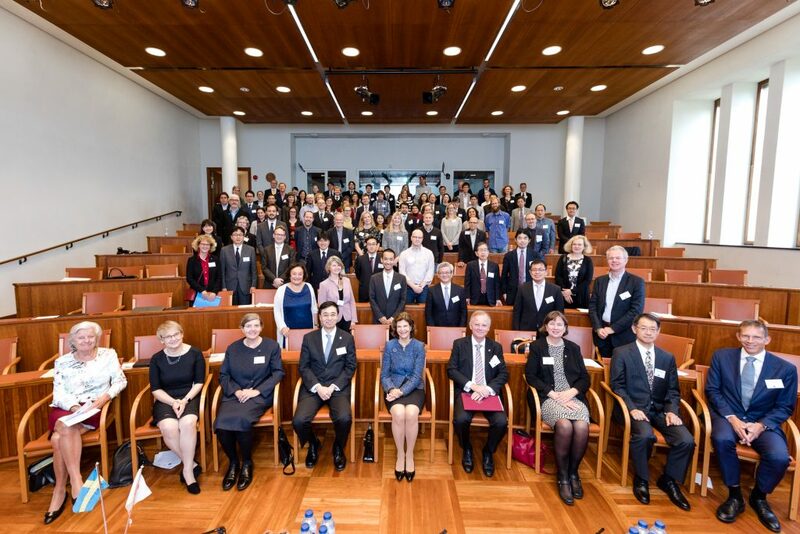 Karolinska Institutet’s Vice-Chancellor, Ole Petter Ottersen, welcomed the delegates to this first official part of the programme drawn up to mark the signing of the strategic collaboration. 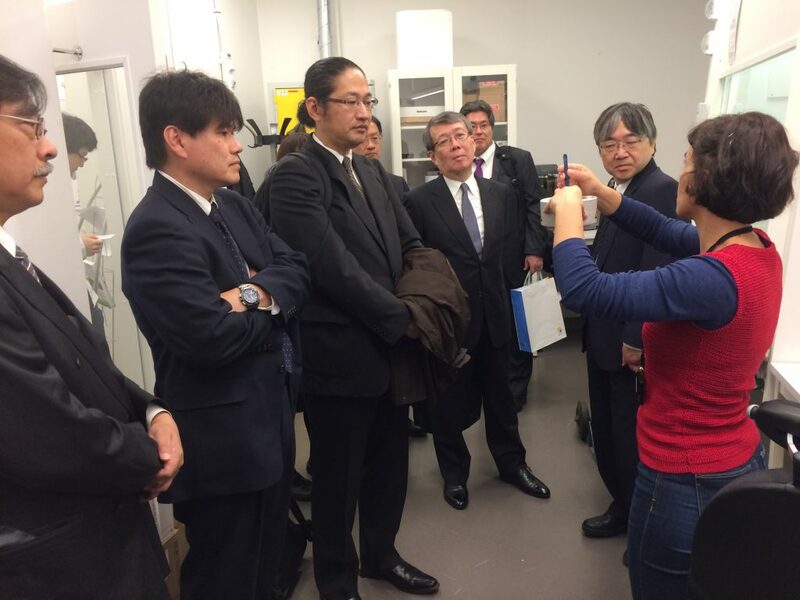 The University of Tokyo’s Executive Director and Vice President Mamuro Mitsuishi reminded participants that in 2018 Japan and Sweden will be celebrating 150 years of diplomatic relations and that this new partnership serves to strengthen the bond between the countries and is a possible catalyst for new such collaborations. 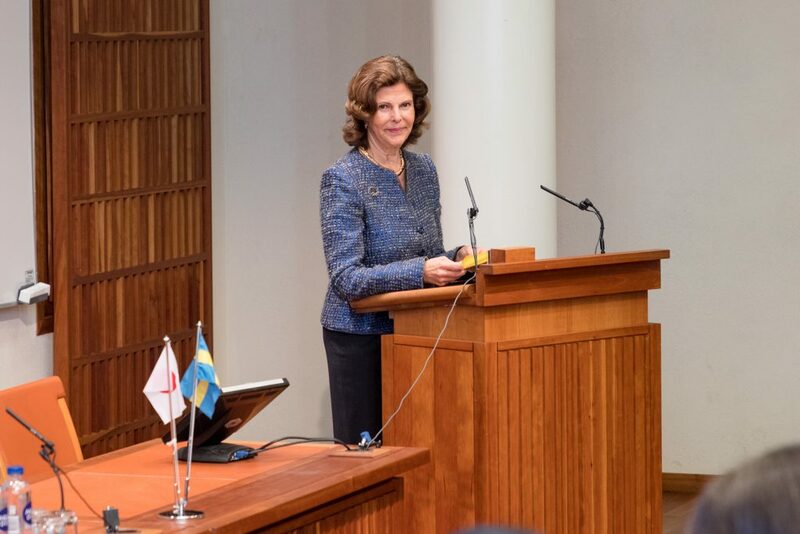 Her Majesty Queen Silvia of Sweden honoured the event by giving an inaugural speech in which she said that questions of ageing and how society resolves them are important to both Sweden and Japan. She also talked about her own commitment to such issues: for two decades, the queen has worked to raise awareness of how to build a society that takes better care of its elderly citizens. Amongst the initiatives to which the Queen has contributed is Silviahemmet, which trains dementia care workers. She then concluded her address by saying that Sweden and Japan have much to learn from each other and that this new collaboration opens up considerable opportunities. The first researcher to speak was Livia Oláh, docent of demography at Stockholm University, who stated that a growing proportion of the global population is aged 65 and above. Japan has one of the fastest ageing populations in the world and also has a much lower birth rate than Sweden. The relatively high fertility rates in Sweden are linked to the high levels of female employment which is supported by the generous family policies facilitating the combination of work and family for both women and men. Public childcare is one of the most important policy measures promoting the reconciliation of paid work and family. Oláh stressed that sustainable societal development requires a balanced age structure in which reasonably high fertility levels play a key part. Laura Fratiglioni, professor of medical epidemiology specialising in dementia diseases at Karolinska Institutet raised the issue that healthy ageing is possible and already a reality. The challenge, she said, is to make sure it stays this way. The population studies that have been conducted in Stockholm show that approximately 50 percent 90-year-olds say they are relativity healthy. Moreover, the statistics show that the risk of suffering from a cardiovascular condition or dementia has declined in recent decades. According to Laura Fratiglioni, healthy ageing is already a reality – the challenge is to make sure it stays this way. To this end, the elderly must be encouraged to take up physical activity, maintain social relations and quit smoking. During the first day, researchers from all four universities gave presentations. The first part focused on the biophysical approach, with aspects of medical robotics, determinants of ageing, personalised medicine, the interplay of genes and environment and artificial intelligence. The second part was the biomedical approach with presentations of speakers from medical and pharmaceutical research as well as a stress centre. The third session had the social sciences approach where researchers talked about actions to prevent frailty and dementia, also how to have productive work in later life. The next day was devoted to three separate workshops in the three approaches to ageing. Each participant had here the opportunity to present his or her research and to discuss with participants possible collaborations. At the closing of the workshop, it was agreed that the topic of ageing shall be on the agenda also in the next meeting of this strategic partnership, possibly held in Tokyo in the fall of 2018. Wanting to care for those who once took care of us; this is a universal human driving force uniting us across countries and cultures. With this as our common goal, I believe we have much to gain by learning from each other.